Full details of all forthcoming Social Events are published in the weekly club news sent to all members and will be found in the Club News page of this website. You will also find posters in the club and displays on the screens in the entrance hall and members bar. SOCIAL LIFE IN THE CLUB. 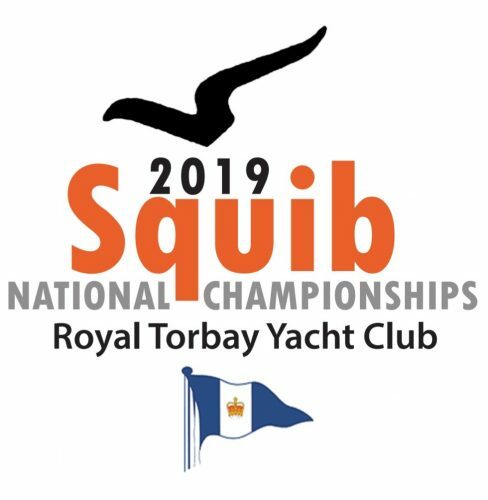 The club is not just the home of superb sailing and championships, it is also a social centre for members and visitors at the heart of Torquay Harbour. The Club Bar is open both lunchtimes and evenings and is a popular venue for club members and their guests to meet. New members and visitors will be assured of a warm welcome. Every Friday the club has its Club Night when members and visitors gather for a chat, drink and nibbles at the club bar, a meal in the restaurant , and to meet up with others. There are discounts for members plus often a monthly prize draw and other entertainments. Often championships or other events help swell the numbers to create a great atmosphere. Wednesday evenings, during the April to September period, is Sailing night , crews gathering for the Après sail activities in the Club bar and restaurant joined by the race night helpers, and friends; Another busy atmospheric night at the club. The restaurant usually provides a range of sailing suppers when they come ashore. However from October through to the following April it is Quiz night in the club bar. Members gather every week in teams of up to 10 to pit their wits and knowledge against a range of subjects. It is another social occasion and attracts sailors as well as the many club social members. The restaurant is usually open from 6.30pm prior to the start of the quiz at 8pm. The Latter part of August is Regatta time and the club house becomes the centre of significant formal and informal activity. The Bar and restaurant remains open throughout the day over the 5 day period and in the evenings there are parties and other activities to keep the visitors and members entertained. Most of the championships whether national or international or just an open meeting bring many new faces to the club, along with Race Crew from the clubs members and usually many more. Class Dinners, Discos, fun nights and of course Prizegivings all help to make the club a lively place. The club has a number of events over the Christmas period starting with the annual carol evening, then focusing on the Christmas Lunch usually the last Sunday before Christmas. This event fills the club and has the Grand Draw and visit of Santa as highlights. To call it a lunch is somewhat misleading . It may commence for lunch around 12.30 but most people are still there by mid to late afternoon. During the non sailing period of January to March, the club runs a number of sailing and other interest talks. Like many yacht Clubs, rugby is popular during the winter. So for the Home Internationals during February each year, the club runs lunches or dinners with the matches live on our clubs large screen TV. It is a great social occasion too with as you can expect a lot of noise, cheering and advice for the referee!! Every June the club ladies gather for an extended lunch watching the ladies day racing at Ascot again on the big TV with a little fun betting on the side. The club also hosts its own special events where members tend to dress up . Prime among these are the Men’s Dinner, Ladies Lunch usually during winter /spring period and the Regatta Cocktail Party in August. Members celebrating special anniversaries or birthdays often run their own parties using our clubs Corinthian Room and catering and bar facilities. As you can imagine with the friendship circles that exist in the club, there tends to be many club members involved.